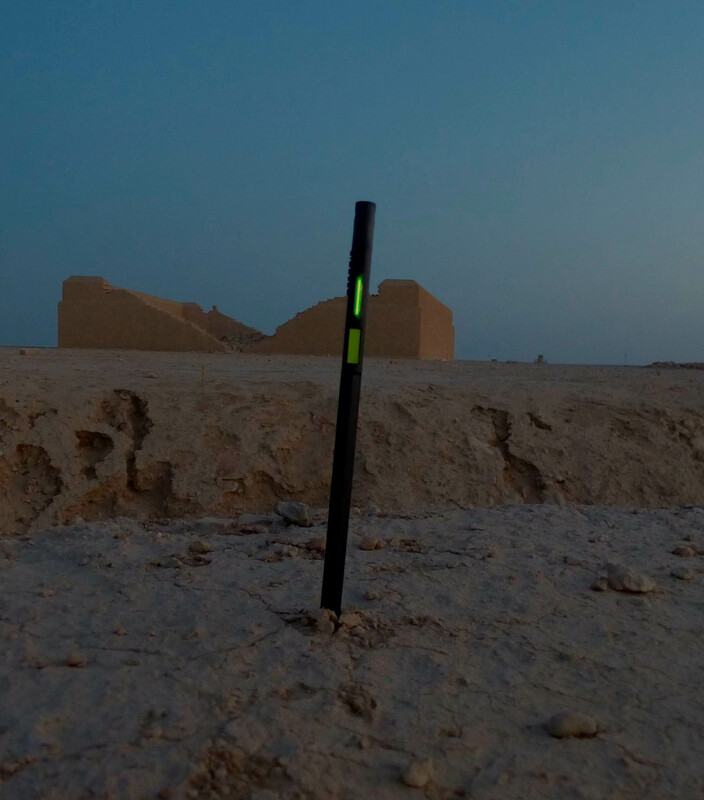 Firefly Mk2 ArcMarkers enable an arc-of-fire to be marked clearly and quickly in daylight, dusk and in darkness. Utilising a low-output trigalight® installed in a shrouded slot to maintain security, the ArcMarker also includes a yellow panel to give visibility in day and dusk conditions. Offering great flexibility, applications include trench marking, safe-lane or hazard marking and they can even be used as a model or map-pointer. Firefly Mk2 ArcMarkers are available in black and desert sand enclosure colour options. Please select colour and quantity required. Firefly Mk 2 ArcMarkers enable an arc-of-fire to be marked clearly and quickly in daylight, dusk and in darkness. Utilising a low-output trigalight® installed in a shrouded slot to maintain security, the Mk2 ArcMarker also includes a yellow panel to give visibility in day and dusk conditions. Offering great flexibility, applications include trench marking, safe-lane or hazard marking and they can even be used as a model or map-pointer. Construction of the Mk2 ArcMarker enclosure provides enhanced strength and durability. Also new is a substantial hook, moulded into the top of the unit for enhanced utility. The Mk2 ArcMarker incorporates a green, low output trigalight® (3x15mm) for increased viewing distance in darkness. Should shielding of the lamp be required, the lamp slot can be partially taped over until the preferred output is achieved. These units are supplied in blister-packaged pairs. 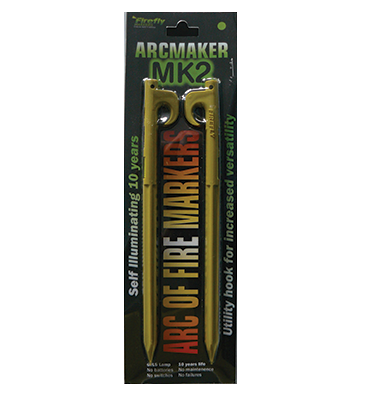 Firefly Mk2 ArcMarkers are available in black and desert sand enclosure colour options.